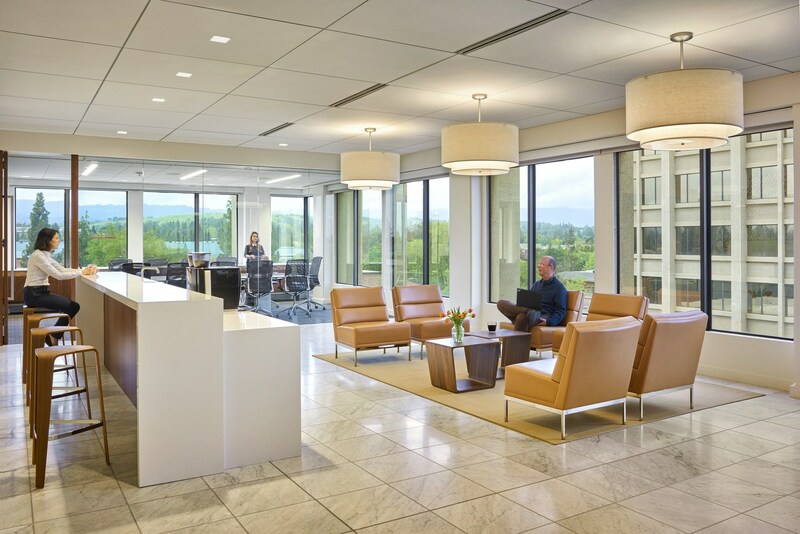 Kaye Scholer desired to move from a traditional law office to a more modern, open and collaborative space. 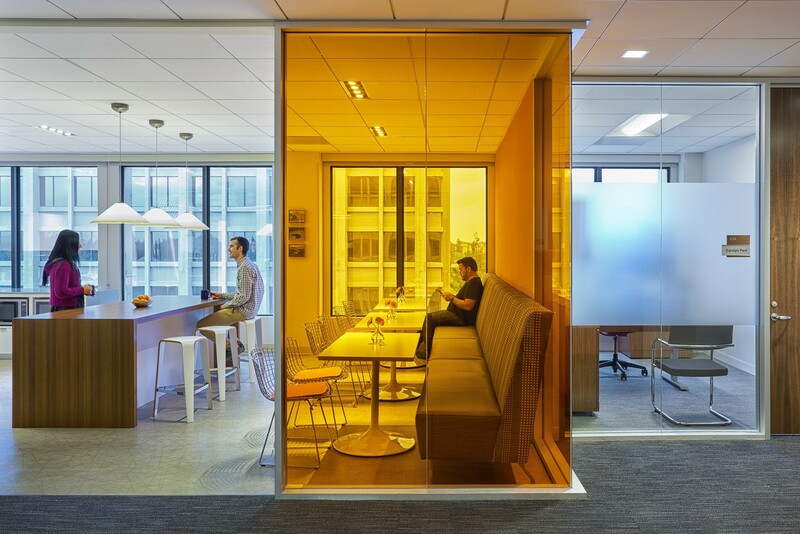 In order to capture the modern and sleek essence of the New York office but integrate the local “flavor” of the Silicon Valley community, the design team maintained a bright, light and crisp objective. 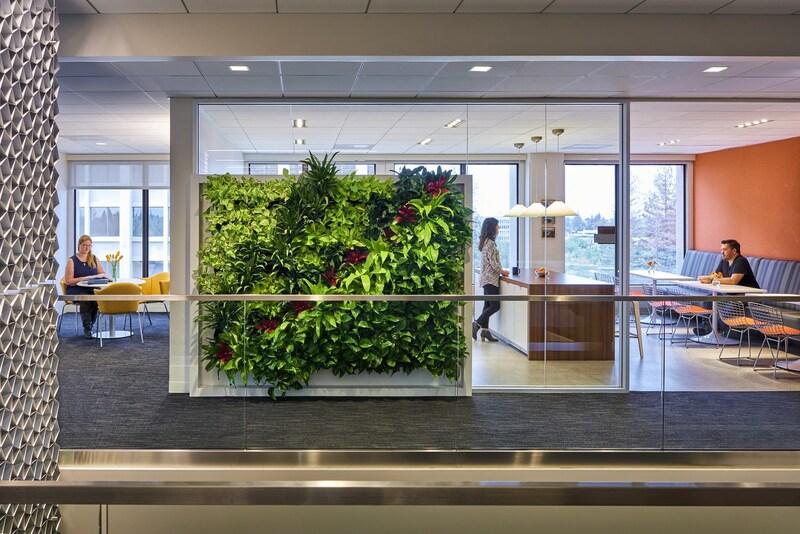 But instead of using modern and dark materials, a neutral palette and natural accents such as locally reclaimed walnut wood and a living wall were used throughout the space. 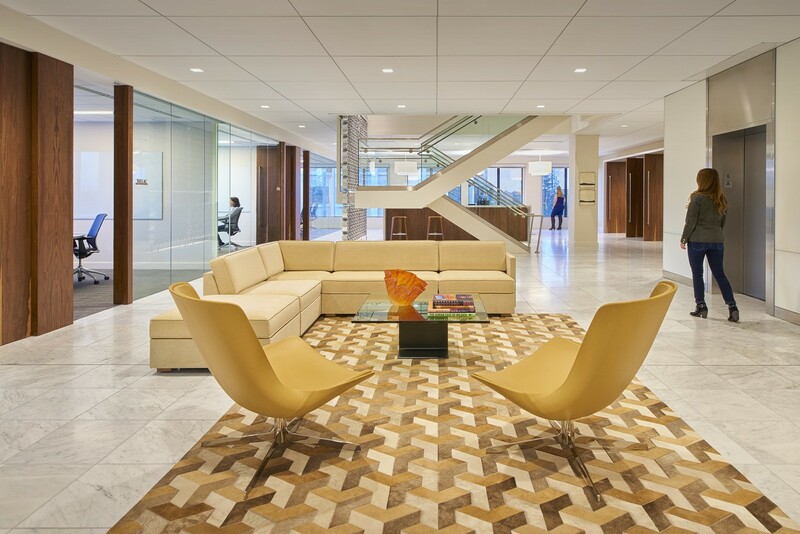 White marble flooring was used in the conference and reception areas, and new interior finish and lighting were added. HGA strategically recommended placing the informal meeting space and café along the window areas at the top of the staircase to take advantage of natural light and for staff to bring clients. Traditionally, this space would be used for private offices. 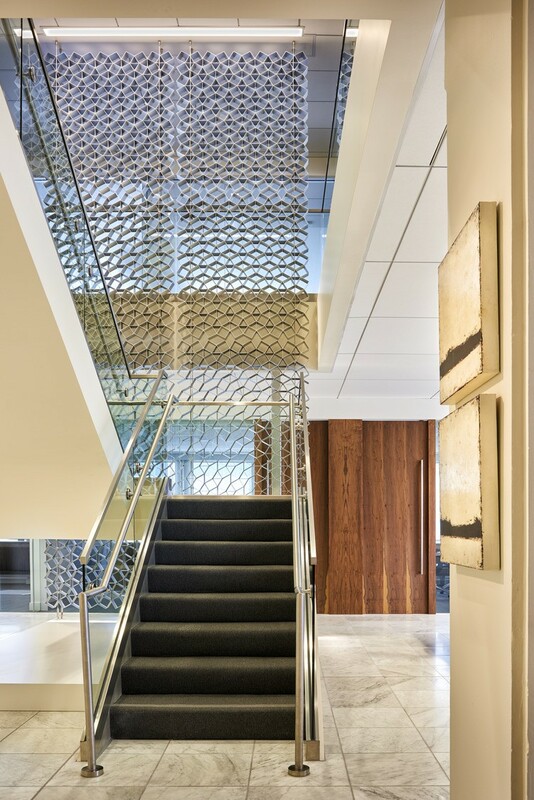 Kaye Scholer requested the lobby to be placed on the fifth floor in order to highlight the interconnecting stair. A unique metal screen sculpture manufactured and shipped from Australia was placed at the top of the staircase.